The Picture King® is a durable tripod screen designed for daily use with heavy aluminum legs with a toe release mechanism for a wide stance with maximum stability. A fabric lock secures the screen surface during transport and use to prevent shifting. 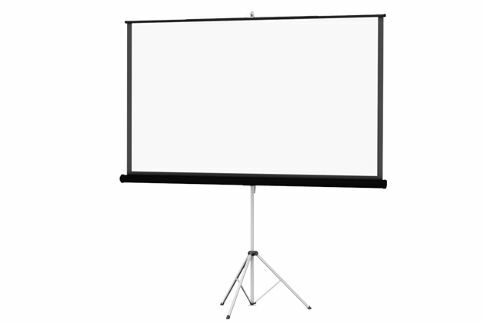 Silver Lite 2.5™ in sizes up to 84" X 84"